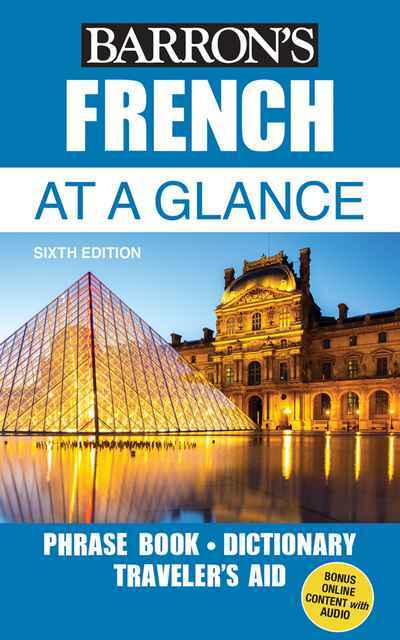 Find approximately 2,500 words and expressions in both English and French plus pronunciation guidance in this pocket-sized book. Includes useful bilingual phrases for shopping and dining, advice on tipping, local customs, travel information, and more. New editions of all Barron's At a Glance phrasebooks have been brought up to date with words and phrases pertaining to recent social customs, new idiomatic expressions, recent advances in technology, and more. Also includes free bonus online content with audio.